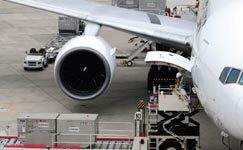 In order not to pay more to ship goods, products, parts, or materials, airfreight may be the best choice for many reasons but primarily because it’s fast. Air allows your goods to be delivered in a timely fashion as often the bottom line for businesses hinges on making deadlines. For example, it may be imperative to get samples delivered to a prospective buyer quickly for a new product line whether it’s across the country or on the other side of the globe. All of these factors afford more peace of mind and helps to keep the shipper’s integrity whole intact by delivering on time and intact. Air equals speed to market, speed to factories, speed to job sites, and speed to the recipients. Looking to ship by air? Contact DGX - Dependable Global Express today for a competitive quote.